This article shares insights about what organizational innovation is, a process for approaching it, and examples for how to learn and develop your skill to innovate within organizations. 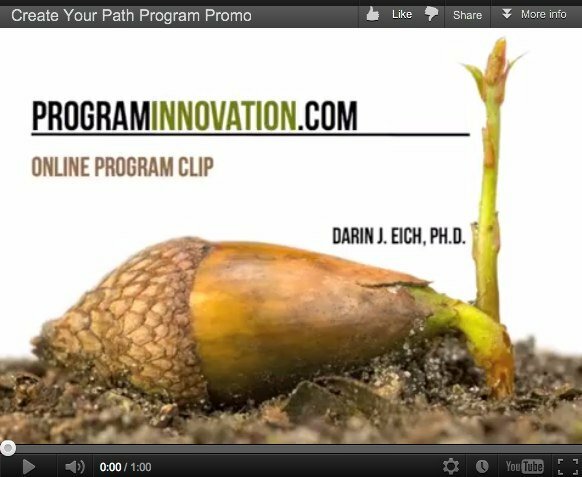 If you would like a deeper dive into innovation for organizations see our online innovation courses and innovation workshops. I’ve interviewed over 100 “innovation leaders creating a culture of innovation” at a wide variety of organizations about organizational innovation and how they were learning to innovate at higher levels, both as an individual, as a part of their team or group, and as a part of their organization. As I’ve been telling people about this research for my next book, questions have come up about how organizations can innovate better. Here are some questions that people have asked. What are your questions about organizational innovation? ”Being Innovative” is a skill that can be nurtured rather than an innate talent. Can you provide some good tips / resources that professionals can use to start developing those skills? (books, podcast, websites, etc.) Yes, start with the best innovation books that organization innovators are using. Focus on experimenting with the methods in the books…bringing the applications to life for your setting. Learn design thinking, agile and lean startup methods as well as business model canvas and value proposition creation. How do you make innovation everybody’s job? Focus on it with programs. It is not going to be everybody’s interest. It may be better to focus deeply on those that raise their hands and want to be a part of the change and innovate. Most of us hear the buzz word “fail-fast” when discussing innovation. Naturally failure is difficult for people to stomach. How do you help to change that narrative for individuals / companies? Organizations are doing a wide variety of things to encourage positive risk taking. I’ve even heard of a “Fail Fest” at an organization to recognize worthy attempts that may not have panned out. In order to innovate you have to have a culture where it is OK to fail in pursuit of innovation. Tell people real stories about failures along the way. Hear real stories from them. Understand what the nature of innovation is like. It is like fishing. It is hard to catch a fish. 90% of startups fail so you may fail here and there en route to success. 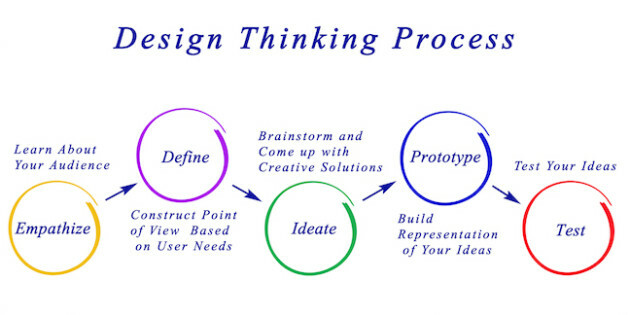 What is a “design-thinking” mentality? This is similar to an organizational innovation process. It involves connecting directly with your user or customer first. Using a design process to design for the actual problems they have and needs they have. 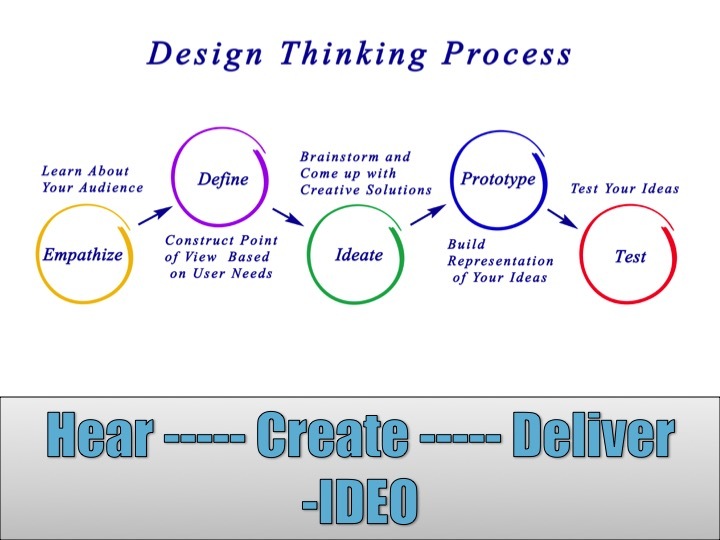 I first got excited about design thinking learning about IDEO’s shopping card reinvention and then seeing their human centered design toolkit. 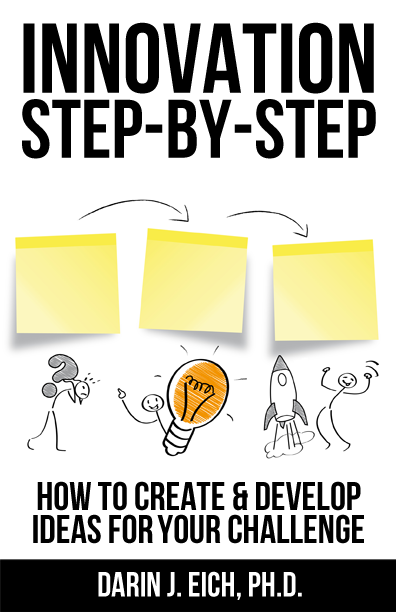 That HCD process is hear – create – deliver. 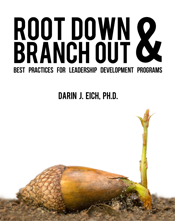 Many organizations approach innovating their own organization with a similar process. What is the most effective way to take ideas and make them a ‘reality’? Launch as soon as you can in as small a way as possible (lean startup) so you can start learning and iterating…but more importantly you have made something a reality. Most ideas don’t become this. They just stay in the mind or as a discussion. Intrepreneurs have been referred to in the past as “secret weapons” for companies? What differences have you seen between companies that value “intrepreneurship and innovation” vs. companies who are content with their traditional business model? Intrepreneurship or innovation within the organization is necessary for survival now. I can’t think of many companies that are content with their own traditional business model. I hear from the most traditional now because they are getting disrupted. They are in a hurry to develop the intrapreneurship and innovation to survive. They are clear about the stakes. What are some of the most effective ways for companies to promote and inspire “innovation” internally? Can you describe a good example that you have seen from your work in the past? Idea competitions, innovation labs, internal maker spaces, innovation teams, hiring for innovation skill, speaker series, workshops, hackathons, etc. are examples of how organizations are promoting and inspiring innovation internally. What are the some of the biggest challenges large organizations have when it comes to innovation? Can you provide examples about how you have helped close some of those large gaps in the past? SPEED and moving forward on solving problems or launching new ideas with agility. Bureaucracy, actually getting the thing made and launched from the traditional organization when moved outside of the innovation lab. Can you talk about how much “incentives” play in to creating a culture of innovation? Can you provide a good example (other than Apple / Google / Amazon) of a company that does a great job of incentivizing employees to innovate? For incentives let people do the kind of work they love in a way that fits with them. Innovation competitions and teams will find the volunteers who WANT to do this and are motivated. They have been hoping for an opportunity like this. Put out your own “want ad” to seek volunteers for innovation projects. You may be surprised at who raises their hand to join and how excited they will be about finally getting the chance to share their innovative ideas and work on them. An interesting financial incentive I’ve heard of is giving the person who created the idea 10% equity in the new product/service up to the first $x. Can you talk about the 3 most common themes related to innovation that you heard across all of your interviews? I’ve got about 20 themes that I share in my online innovation course on this. Learn by doing. Adopt and apply new technologies. The learning and doing is informal…they learn through books, different people, application, experience, etc. on the go and on a continuous basis. What were 3 – 5 personality traits that you saw over and over again in these leaders? I believe innovation is a skill that can be learned…like other soft skills or leadership skills. Many different personalities can be successful. Individuals with innovation skill, leadership skill, quick learners, tech adoption, etc. An interest in seizing opportunities and wanting to solve problems with others. A desire to create and build something. Personal risk is a huge consideration for leaders when trying to push an innovation agenda forward. How did these leaders handle that inherent degree of risk?Forming a team to motivate each other and absorb risk together vs. just you is one way they handled this. Know the business to be able to lessen risk. Build key relationships in the organization. Find a champion for the new project. Don’t believe everything you think…you may think it is a personal risk but others may admire you taking the risk. Don’t let your own negative thinking prevent you from attempting when your motives are positive. Co-Innovation with smaller organizations is a growing trend at larger firms. What makes that strategy so effective? Did any of the leaders you interview mention that during your interviews? Yes, Open innovation has been a value approach. Organizations are doing startup partnerships. They are forming relationships with universities and turning loose customers, experts, and the crowd on their challenges.This is a wonderful video showing Robert Wolcott’s fortress and exploration ship metaphor for innovation in large organizations. It also includes the classic example of Kodak vs. Fuji. Now it’s your turn. From your experience with innovation in organizations, what answers do you have for any of the questions above? Do you have some organizational innovation examples to share? What process have you seen make an impact…or not be effective in helping the organization to innovate and change for the future? Do you have some questions of your own? Please leave a comment…I would appreciate it! After more than 10 years of developing and introducing innovation in a large organisation, my conclusion is that it is difficult if not impossible to convert a non innovative company culture in an innovative one. Only leadership endorsement allow survival and investment behind innovation but it does not create an internal systematic modus operandi. We tried to evolve our innovation cycles from culture building to strategy and eventually to a more pragmatic and commercially driven set-up but in my opinion there is no legacy left. Organisations with innovation in their DNA will continue to thrive. The other ‘big elephants’ will innovate by buying small start-ups and commercialise their product under a ‘household-familiar’ brand…or they will be outplayed and eventually disappear – kodak/nokia moments.